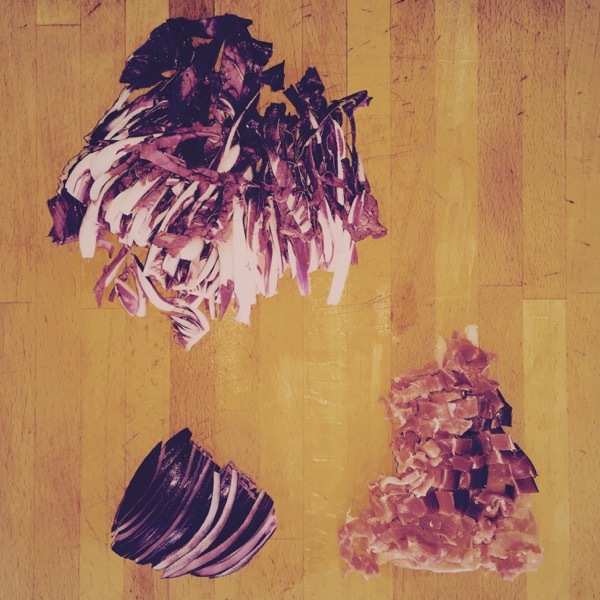 Posted on August 2, 2016 by Mara L.
Pasta Con Radicchio E Speck, By Mara L.
Here comes another pasta dish, pasta with radicchio and prosciutto from Southern Tirol. This felt just right when, as it so happened while I was in the Italian mountains, there’s lots of rain and it’s chillier than you would expect in July. The meal is prepared in just a few minutes. But if you want it to look beautiful, give yourself time to cut up everything nicely before you do anything else. 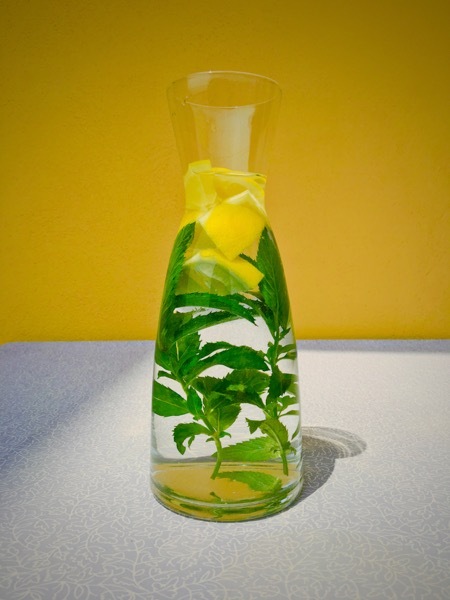 This summer, I rediscovered a drink from my childhood: tap water with mint from the garden and slices of lemon. I put the carafe into the refrigerator for an hour or two, so that the water takes on the summery flavors and is nicely chilled before it’s served. 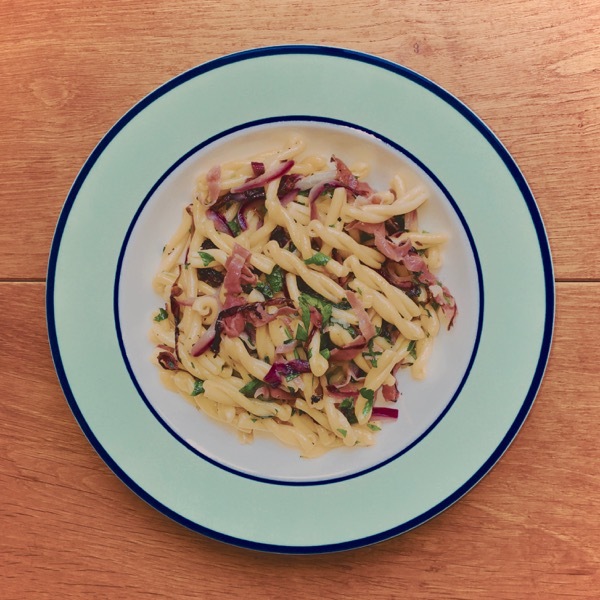 The rest is easy: cook the pasta al dente, the ingredients for the sauce go into a pan with hot olive oil, and at the end it’s all thrown together, with some finely chopped parsley added at the last minute. Previous PostPrevious Pasta Con Salsiccia E Pomodoro, By Mara L.